I’ve had a couple of runs where I’ve run right over the nodes and they aren’t being completed. To add insult to injury on this, this run showed 0 progressed, 0 completed. The run was completed 14 days ago on Jan 17. 2019. so it wouldn’t seem to be a sync issue. It also raised another challenge that, because nothing was hit on this run, I couldn’t flag that obvious miss, 13th St, which is a gated community. Is there any way, short of re-running these, that the nodes can be marked as complete? In this case, to mark the street complete, it would complete a whole street in another part of the city, which I don’t want to do. You shouldn’t have to re-run anything - I should get the code to correctly match your running data to the city data. It seems like that isn’t happening for some reason. Let me do a little more digging to see if I can sort this out. I really appreciate it James. Thank you for all of your hard work!! 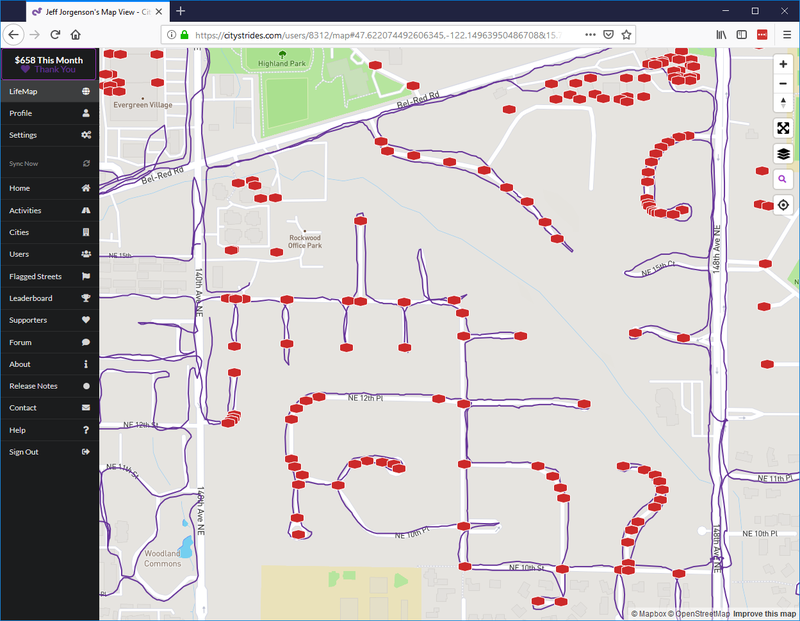 Hey, this looks exactly like the problem I posted about recently…nodes still showing for streets definitely completed. Ooh, yeah, thanks for pointing that out! Although, it did mark most of my nodes hit, there were a couple on 151st St that remain red. 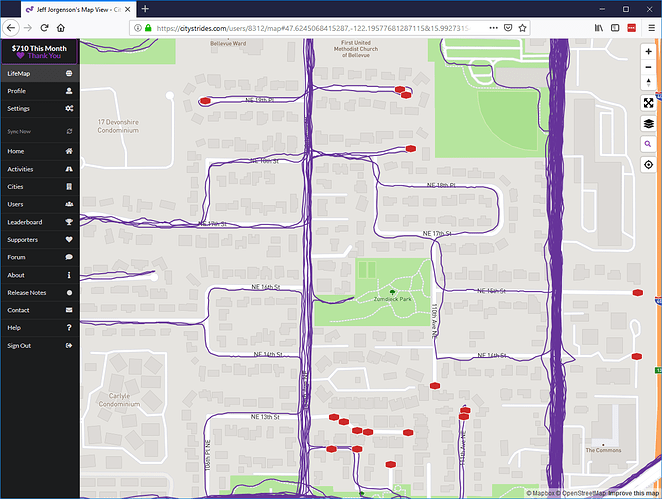 When you zoom in, those nodes are sitting well off the street, so I’m guessing I wasn’t close enough to the threshold to get those complete. Seeing the same issue. 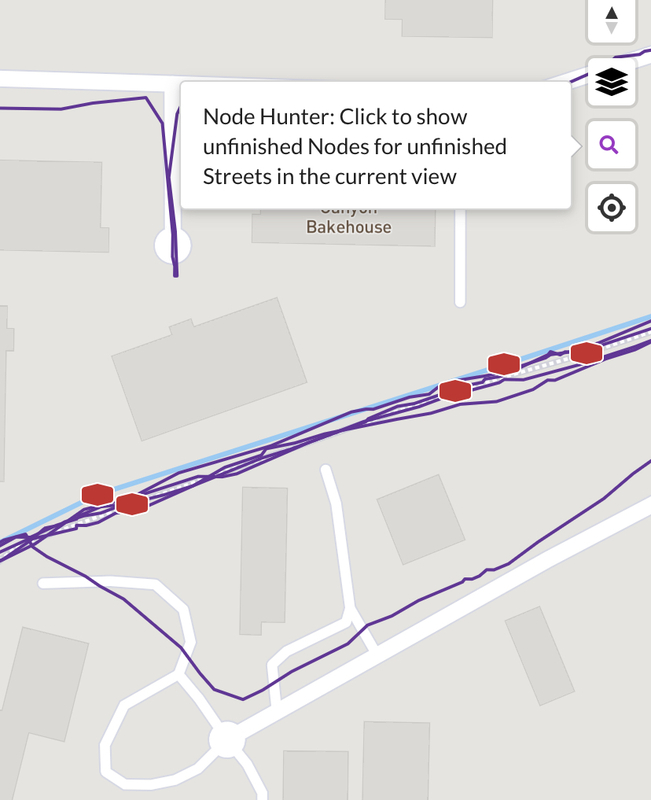 Random nodes with multiple tracks that show incomplete. Still having this on some of my runs. There doesn’t seem to be any rhyme or reason to why some don’t hit. This is my run this week on March 13. Sorry, should have included this in the last post - run from Feb 24. Could it be a privacy issue ? Have you tried changing your privacy settings on CityStrides to “Everyone”. I just changed it, but it wouldn’t seem that that would be the issue. It only happens occasionally on runs, so it wouldn’t stand to reason that it would be a global setting. Worth a try i think. If it works James will have some valuable information. But it’s probably gonna be a day before any changes will take effect. We’ve got Nodes for streets. We’ve got other GPS coordinates for your activities. 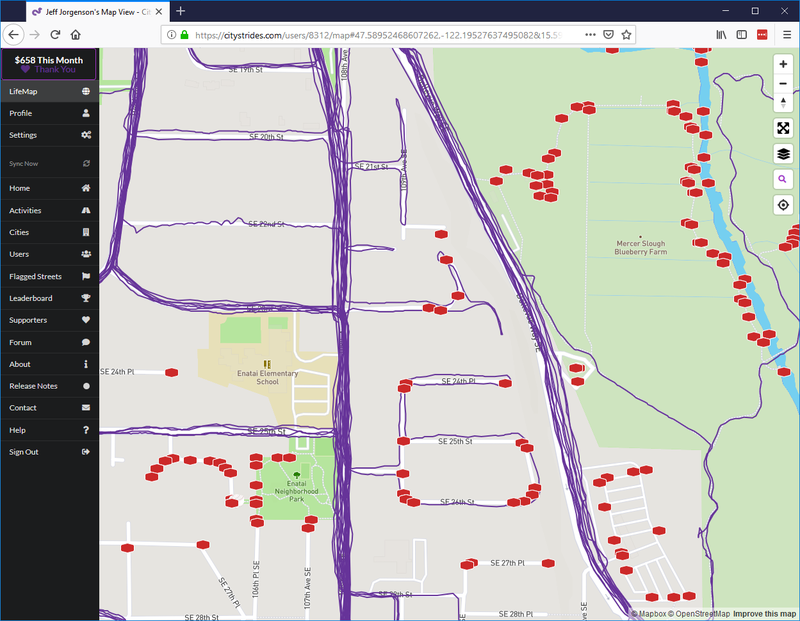 I go through your activity, one GPS coordinate at a time, and do a database lookup for any Nodes within (if I recall correctly) 25 meters of the coordinate. Any of those Nodes are marked as ‘Completed’. So I think there’s this bug where you have an activity GPS coordinate that is on a street but is too far away from any Nodes on that street. And there are some activities that juuuuuust happen out where each GPS coordinate is too far away from a particular Node. Good info! Instead of using ‘smart GPS tracking’ to save watch battery, it could help us to go to the fullest recording mode possible. Thanks James. I don’t think that’s the answer. I had this same happen to me a few weeks ago. My LifeMap showed me running through the street/node, just like the other folks above me, and the street/node was not marked as completed. It happened to be a day that I used my Fitbit device for tracking, when 95% of the time I use my iPhone’s Strava app. I figured it was a weird sync issue between Fitbit and Strava, so I just went out the next day, using my Strava app / iPhone, and re-rand the route. The GPS coordinate / node was completed just fine the next day. Not sure of the answer, just wanted to add a little more data points to the issue. Good luck!